Karan Singh Grover is a much married man and has tied the thread twice before he met the vivacious bong Bipasha Basu. There was a time when Karan met the beautiful and stunning Jeniffer Winget – one of the most beautiful TV actress on the shooting sets of Dil Mil gaye and they hit off instantaneously. Their chemistry was crackling and too hard to miss but the hitch was that Karan was married to Shraddha Nigam, another TV star at that point of time. When Jennifer the heartthrob of small screen entered his life, he divorced Shraddha in 2009 and married Jenny much later in April 2012. The wedding was a catholic Christian wedding and Jennifer looked mesmerizing in her lovely wedding white. The ceremony was an enchanting affaire and many prominent TV names attended the pomp. The fans were glued to their telly sets for more news of perhaps one of the most dashing and dazzling couples of their time. Nonetheless the marriage was a short-lived one and the couple parted ways in November 2014. The trouble in their conjugal paradise was disbursed to Bips who was Karan’s co star in the movie Alone and the two had gotten close during the filming. The two soon became the talk of town and were spotted together on multitude occasions. Next Karan married Bipasha in 2016 and they are living happily at the moment. What about Jenny? Is she still single? 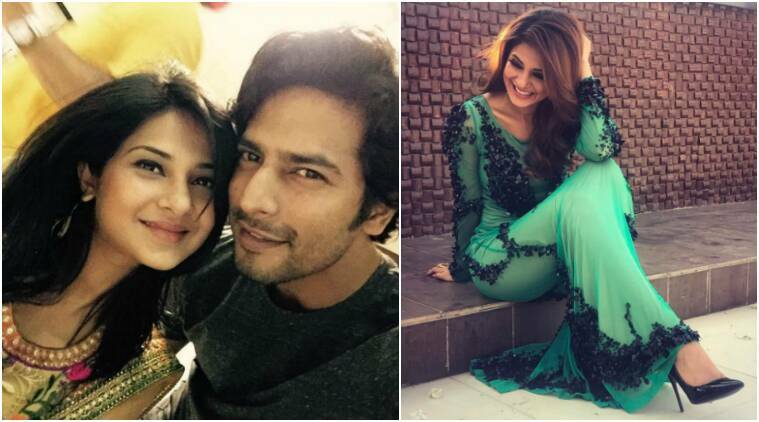 Although she maintains her unattached status and takes pride in her singlehood but the grapevine has it that Jennifer is very cozy with one of her ex co-stars from Dil Mil Gaye Sehban Azim. She is often linked with him but she maintains that they are good friends and how some people drift apart and how some stay in your life no matter what and Sehban is one such person who has stayed. Despite the speculation and denials from both sides the two remain close and are seen together partying and chilling out. Karnataka Elections Verdict – Is this END OF the GAME for Indian National Congress? Trending news today, the Karnataka Elections verdict and the daylong gossip around the same. From yummy detox juices to delicious low-calorie chocolate cake: A sneak-peak into Alia Bhatt’s diet in Bulgaria.